Interview with Rebecca Skeele, chatting about how to end toxic thoughts, feel acceptance toward yourself, and see how damn amazing you REALLY are. intelliBED encourages rest, healing and recovery for balanced hormones. Get your toxin-free mattress with the intelliBED and receive free shipping, a free sheet set, a free mattress cover, AND a 10% discount! Stock up on your favorite high-quality, nutrient-dense real-food products from Primal Kitchen! Use the coupon code FAT for 15% off your entire order. 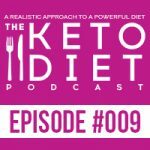 Leanne Vogel: You’re listening to episode number 9 of The Keto Diet podcast. 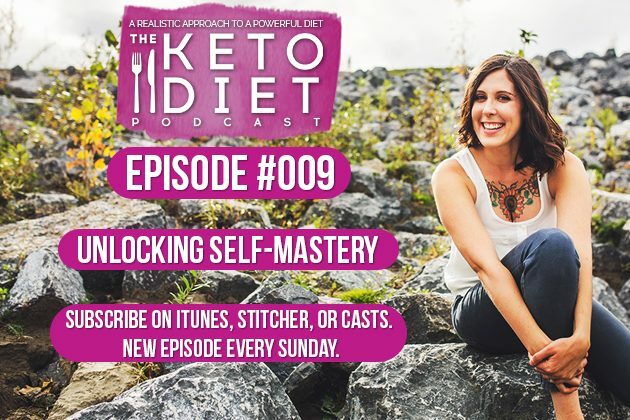 Hey, I’m Leanne from healthfulpursuit.com and this is The Keto Diet podcast where we’re busting through the restrictive mentality of a traditional ketogenic diet to uncover the life you crave. What’s keto? Keto is a low-carb, high-fat diet where we’re switching from a sugar burning state to becoming fat burning machines. The Keto Diet has helped me with fertility, has ended my constant weight struggles, blood sugar irregularities, imbalanced moods and so, so much more. I want to share this magic with you using a realistic approach to this powerful diet. No restriction, new ways of looking at things and positive support awaits. Let’s get this party started. Hey, I’m Leanne from healthfulpursuit.com and this is The Keto Diet podcast where we’re busting through the restrictive mentality of a traditional ketogenic diet to uncover the life you crave. What’s keto? Keto is a low-carb, high-fat diet where we’re switching from a sugar burning state to becoming fat burning machines. The Keto Diet has helped me with fertility, has ended my constant weight struggles, blood sugar irregularities, imbalanced moods and so, so much more. I want to share this magic with you using a realistic approach to this powerful diet. No restriction, new ways of looking at things and positive support awaits. Let’s get this party started. Hey guys, for those of you still celebrating turkey day, I am so envious. Here in Canada Thanksgiving has come and gone, it’s gone, and you guys have it for ever in the US. You must celebrate like from Thursday to Sunday, sometimes even Monday. We only get three days and oftentimes our Christmas trees aren’t even up yet, so it’s like you guys get two Christmas’s, so I’m really jealous. If you’re celebrating another awesome Thanksgiving meal today, I hope you have a blast. The awesome thing this week that I wanted to share with you, I just rediscovered this snack and I’ve been eating it every day and it’s so good that I needed to share it with you. It’s a fat bomb that does not require any preparation whatsoever, it takes seconds. Okay, so here’s what you do, you take a spoon, preferably a big spoon and then you put coconut oil on it, maybe just like a scoop of coconut oil. Then you pile on macadamia nuts on top, raw macadamia nuts or you can roast them at home or whatever. Then you add a sprinkle of salt and then you put it in your mouth really quick. It’s so good, and it’s savory, and it’s delicious but it also has like natural sweetness, and even me talking about it right now I’m salivating. Oh, it’s so good. If you wanted to go the savory route with this fat bomb you can also add a sprinkle of herbs, you could do fresh basil, you could do cilantro that’s fresh, anything like that. If you’re on the go and you want to this in a container often times I’ll melt the coconut oil and then put the macadamia nuts in the container, put the coconut oil over top and then sprinkle with salt or any herbs that I’m using and this is a really nice savory treat that is a fat bomb and takes only seconds. What we’re covering in this episode is steps to ending blame and shame, self-compassion, what’s holding you back from being totally awesome and steps to connect to your body. The show notes for today’s episode can be found at healthfulpursuit.com/podcast/e9 and let’s hear from one of our partners. Leanne Vogel: I do have one announcement this week and it’s all about keto holiday menus. If you just celebrated Thanksgiving and you used one of my keto holiday menus from my new digital cookbook, The Keto Holidays Cookbook, awesome. Hope you loved it. I’ve gotten a lot of feedback from people that have already started using my keto holidays cookbook. All the feedback has been super great, lots of great praise and testimonials coming in which so fabulous. I am so happy that I hit the mark and provided you with a brand new resource that you all love. The Keto Holidays Cookbook has 30 recipes that are totally keto from appetizers, starters, entrees, desserts, gravy and condiments and cranberry sauce and all of the favorites, like pumpkin pie, all rounded up with 4 keto holiday dinner party menus. There was a Thanksgiving one in there, so if you’re already celebrating Thanksgiving you have that even for next year and there is also a Christmas keto holiday dinner menu, a low-calorie one as well as meat-free. If you’re wondering like calorie, Leanne you don’t talk about calories often, I find if you’re having guest over for holiday events whether it be Thanksgiving, Christmas, New Years and any other parties in between usually guest show up like way before dinner, so you’re feeding people basically lunch, dinner and snacks. I found that if we are having our guests over later, say they’re showing up at like 6 o’clock I can’t give them all the food that I would give them if they’re there at 2: 00. So I really like the low-calorie menu, I mean it’s not low, low calories by any means, it’s still keto and awesome and maintains the awesome micros, I kept the micros the same through all the plans that are around 70 to 80 percent fat mark which is so great to just maintain your keto awesomeness throughout the holidays. That’s why I wanted to create this cookbook because the holidays can be really difficult for so many of us. Just knowing that keto works so well in our body but feeling like we can’t celebrate the holidays with our loved ones because we can’t have all the treats. So in my opinion, this cookbook does a fabulous job at allowing you to feel part of the celebration while also sharing your eating style with the people that you love. If you want to check out the cookbook, you can go to healthfulpursuit.com/ketoholiday. If you guys want to leave your review and support my show you can go to healthfulpursuit.com/review and you’ll be directed to a page where you can submit your review by clicking on “reviews” and then write a review. You can give me five stars if you really feel like it and write something nice, or you can go to your favorite podcast app and search for The Keto Diet podcast and you can submit your review over there. Okay, we have an awesome guest. I know I say that every time, I’m so excited to have all these people on the show and share all of their amazingness with you, because so many of their messages are so individualized that I know that a lot of people listening will need to hear it and a lot of people listening will be like that does not resonate with me, but the next episode we’ll switcheroo. I really wanted to give you a vast array of different resources as it relates to women’s health and the struggles that we go through on a ketogenic diet and the amazingness that awaits us when we really give ourselves time to take care of our bodies. Rebecca Skeele, our guest today, is going to be talking about self-mastery and to really get into our body but not see it as a be-all end-all of our health. I wanted to bring world of self-love to everyday life and Rebecca does such a great job at that. We talk about what self-mastery can do for you, knowing how you work, who you are without all the clutter and what you’re capable of doing. How knowing these things translates to an eating style that’s easy to practice. So many of us get caught up in the blame shame game of dieting and how we think about our bodies and how we think that they should look, but deep down we feel like our body is our only focus. We use restriction and pushing ourselves to unrealistic places to obtain that reality that may not even be able to happen. We loose our ability to show compassion towards ourselves, compassion toward others. I really wanted to chat about self-compassion, self-acceptance and the true knowing that we can accomplish anything. Because I think in the diet space a lot of us get so focused on the diet that we loose out on our lives. In this state of self-mastery we can overcome fear, we can connect to our bodies and our life is good and eating style is easy and we’re taking care of ourselves. I’m excited to introduce Rebecca, Rebecca Skeele, wisdom teacher and sacred ambition mentor is an author, ordained minister and licensed counselor who has facilitated seminars in the United States and Europe for over 25 years. Her second book, Manifesting Your Sacred Ambition, is due out, fingers crossed, the fall of 2017. Rebecca teaches her students how to see with new eyes and live their life in alignment with their core values. Rebecca’s clients say that she’s brilliant, powerfully loving, and unshakeable in her commitment to mirror the truth so that others may set themselves free of self-imposed limitations. Her passion is demonstrating the power of each person to assess their reality. So without further ado, let’s cut over to this interview. Leanne Vogel: Oh my goodness, I’m so excited to have you here. Rebecca Skeele: Well thank you for the invitation, I’m delighted to be here. Leanne Vogel: For those listening who maybe don’t know your work just yet can you tell us a little bit about yourself? Rebecca Skeele: Sure. Well, my name is Rebecca Skeele, S-K-E-E-L-E. My work, well it’s evolved a lot. It started back in 1990 as a licensed clinical counselor working with people with a spiritual focus. Then since 1990 it’s evolved into mentoring. I work with people who are wanting to really bring forward what I call their big work in the world. This usually involves a calling of some kind. I call it a “sacred calling.” Sacred meaning of their deepest values and when we bring forward our sacred calling, our big work in the world, it’s important that we know who we are. That we really do the inner work so that we can work with ourself in a greater way. Because when you’re bringing forward your big work in the world you really get challenged. My work these days have really evolved into that. I mentor, I teach a wisdom school, I run groups, I do live events. That’s kind of what I do these days. Was that helpful? Leanne Vogel: … and that’s really what you’re coaching people through. Leanne Vogel: I’m sure that this translates not just to the work, like when you say “the work you do in the world,” it doesn’t necessarily have to translate into a specific career. It can be a lot more things than just that, is that right? Rebecca Skeele: Very intuitive Leanne. Absolutely. Yeah, work in the world is how we … you know, it’s been said that work is loving made manifest. Work can take on many different forms. It can be how we show up in our family. It can be how we parent our children. It can be how we want to be with friends and in relationship and it can also include bringing forward some kind of new vision, new paradigm, new meme if you will, either for profit or non-profit. The people I work with they’re called in many different ways. Called to maybe change the business conversation or change how we deal with money, or just be more a kind compassionate person in the world. So it can show up in lots of different ways. The reason I call it your big work is because it asks us to get bigger. Anytime we are needing or wanting to step into let’s say a bigger expression of who we are in the world we have to get bigger. What that means is we have to move out of playing small. We have to move out of things that make us small by what we tell ourself, the internal talk that goes on. A lot of the let’s say old baggage, I call it the clutter, the old clutter that we’ve been carrying around in our life. Leanne Vogel: So many of the women listening right now are struggling and have internal talk and that clutter that you’re talking about toward their body and how they show up in the world as it relates to their body. How can self-mastery help with that? Rebecca Skeele: Yeah, this is a real challenge for women because society so reinforces that we are what we look like. There is certain standards that it puts in our face day in and day out. I know I’m not talking about anything that anybody doesn’t know that’s listening to this podcast. It’s so important to begin to know yourself beyond your body. It’s so important to know that the body is a wonderful vehicle to who you are but it’s not all of who you are. When I work with someone that’s having issues around body, body image, body weight, etc., and I work with women, you know, from about 35 to 75, okay. I have to say quite honestly that most of the people I work with are in their 50s and 60s and late 40s. They’re dealing with a different kind of body image right? Because they’re in the aging process. We really begin to take a look at who are you beyond this body and that’s an experiential process. Reading a book is great, getting information is wonderful, but you really have to begin to experience. What self-mastery does is it begins to open up if you can imagine channels to a greater reality of who we are and some people call it spiritual reality, some people call it divine nature. I like to call it divine nature because I think that’s more general. In other words, the greater reality of who we are is it’s beyond the body. One of the things that keeps us in our body or in our negative perception of our body, not in a good way but in a bad way is through how we judge ourself and how we compare ourself to other and how we shame ourself for our behavior. Those three things right there, comparison, judgment and shame are one of the big things that we work with in self-mastery. What I do is I teach tools. I teach self-mastery tools. Like if you have a toolkit a toolbox and in that toolkit, that toolbox there are these tools. By practicing the tools you begin to clear what I call the clutter. Let me say what I consider the clutter is. Is our judgments of ourselves, that’s clutter. Our limiting beliefs, that clutter. Our shaming of ourself, that’s clutter. What this clutter does is it keeps us small. A few minutes ago I talked about how we need to get bigger, how we need to expand who we are. Well, all the clutter tends to keep us very small, very small focused on those things over and over. I am sure everybody is aware of that. It’s like once we begin to judge something about our physical body it’s like in our face all the time, isn’t it? It’s like all we think about. Leanne Vogel: As somebody in the public eye who gets picked on all the time, yeah it can be very challenging to disassociate that experience for sure. Rebecca Skeele: Yeah, yeah, and we just focus on it all the time, every time we look in the mirror we think about. Every time we get up in the morning we think about it. Every time we put on an outfit we think about it. Whatever. That’s such limited thinking, it makes us very small, it makes our world very small. What we want to do is we want to expand and the way we expand is we clear the clutter. I call it clearing. It’s different than healing. Clearing is what self-mastery will do. Think about, let’s see what’s a good analogy, think about a stream in the forest that might be dammed up because of debris, like logs, or twigs, or leaves, or rocks or something like, and it’s damming up that flow of who we are. What we go in, is we clear that, we clear those rocks, and the sticks, and the leaves and those logs out of the way so that the energy of who we are, the flow can begin to happen again. Leanne Vogel: I imagine that flow as somebody who has taken a very long time to get where I am with my own personal self-mastery. When I’m in that flow and I’m feeling like I’m outside of my body and I appreciate my body for it being like you said that vehicle, it is easier to do all the things that I ever dreamed possible because I’m not letting those old beliefs hold me back. I think for those listening if they’re … You know, I hear all the time, I can’t eat the way that I want to eat because all I crave is the things I am not allowed to eat and all these things are happening. I think in a lot of ways when you’re in that frantic space of like you said all that clutter, all the leaves, everything happening all at once, it’s hard to understand where you are in space and what’s best for your body and how to connect to what your body needs. So you go outside of yourself to say “okay, well here’s the next diet, it’s going to fix my problems and everything will be fine.” But in actuality if you could get back into your body in a way that feels positive and understand that your body is not the be-all end-all that “not dieting,” more the eating style that fits best for your body is going to be a lot more effortless, you know I would say. Rebecca Skeele: Yes, absolutely. I love that example there Leanne. Let me say that judging ourself and blaming and shaming ourself is painful. We don’t realize how painful it is. Most of us have become numb to it or we’ve become unconscious to it. We don’t realize in the background of our day how often we judge ourself or we shame ourself or we call ourself an awful name. When we become conscious of that we go well gosh no wonder I don’t want to be in this body because I have to feel the pain. I have found that a lot of let’s say distracting behaviors from the pain, one of them is eating, because eating brings comfort, right? Leanne Vogel: Best friend, yeah. Rebecca Skeele: Yeah, yeah, it brings comfort. That kind of behavior, it’s like exactly what you talked about finding the diet that works for you or the eating style that works for you, I don’t like to use the word diet. The eating style that works for you is really important. But first we need to do something other than go around and blame and shame ourself all day long. That does not help. It does not help at all. It muddies the water. It keeps everything, like my analogy before all dammed up. We were not able to be in the flow of who we truly are. That flow is empowering isn’t it? It’s liberating. It’s full of possibilities. It’s loving. The way that I teach self-mastery is all based in self-loving. That’s a revelation. If you are used to really scrutinizing your physical body is such a way where you don’t see anything to love about it, that’s pretty liberating. Leanne Vogel: Yeah, it makes me sad even when you say that to be in that place. The podcast is excited to be partnered with intelliBED, the non-toxic mattress that provides optimal comfort and support for your body. If you guys remember, last year I wrote a post about my new found discovery about the toxins conventional mattress are treated in, from flame retardants, boric acid and formaldehyde it was enough to make my skin crawl. All of these chemicals can wreak havoc on health including our hormone function. In July 2015 I swapped out my conventional mattress for an IntelliBED and it’s been one of the best choices I’ve made for our family’s health. We didn’t think that the headaches, throat clearing and hip pains were being caused by our mattress but it’s so clear now that they were. You too can create a toxin-free sleeping environment with IntelliBED. Once you’ve decided on a mattress, you’ll get free shipping, a free sheet set, a free mattress cover, AND a 10% discount! Something that you just said was super powerful, to stop blaming and shaming. I know for a lot of ladies listening they’re like okay, but like how? What are some steps that somebody can take if they know they’re going through the day, they’re picking apart their body, they’re picking apart the things that they do, they’re bullying themselves, how do they get out of the funk? Rebecca Skeele: Okay. Let’s start with the first self-mastery tool and that observation. We have to get conscious of what we’re doing and that means that we must stop and ask ourself why do I feel like you know what right now? Why do I fee like a piece of garbage in this moment? Why is my stomach hurting? Why am I really uptight in my shoulders? Why do I have a headache, why do I really have a headache? Why am I avoiding going to that meeting or talking to that person? What is really going on? That’s the first step is to stop and ask ourself and the willing to really listen, to hear the truth that is said to us. To be able to hear that voice inside that’s saying I feel fat or I look awful today or they’re judging me because XYZ or whatever it is. Then when we can hear it we can hear in it the judgment. How am I really talking to myself right now? The next step is to accept what is going on. Now acceptance does not mean condone. Acceptance just means we stop judging it. We take a step back and we go okay I am accepting right now that I’m judging myself. I accept right now that I feel embarrassed because of how my body looks today. I accept that I just ate three brownies and I’m beating myself up because of that. In other words, we want to accept. So you say acceptance statements. You accept what is. You don’t excuse it and you don’t condone it either, and you stop judging it. It’s like putting everything out on the table and looking at everything and going okay I’m accepting it. Is this helpful Leanne? Leanne Vogel: Yes, 100 percent. Rebecca Skeele: Then the next step is to open your heart in compassion to yourself. Now, I am not going to go into that particular step in detail because we’d be here for a couple of more hours because there’s a whole process I do around teaching people how to be compassion with themselves, but that’s the next step. Compassion. We are not taught how to be compassion with ourself. We are taught how to become compassion or we see modeled how to be compassion with everybody else, but not with ourself. This is really, really important. How do I open my heart to myself? How do I open my heart to that part that ate those three brownies? How do I open my heart to that part that is embarrassed or shamed today because of how I look? How do I open my heart to whatever it is, the comment that somebody said to me like “wow, you’ve gained weight,” or whatever it is. How do I open my heart to that part? That is the next step, is to really be able to hold all my parts, all the parts that are in pain that are feeling maybe despair, maybe even self-hatred, self-disgust and compassion. How do we do that? Well, there are parts of us aside from the parts that are in pain and self- disgust or whatever that do not live in this place of shame and blame. There are parts of us that live in compassion and self-loving. That’s where we get into the greater nature of who we are because my ego personality can’t go there. Nobody’s ego personality can because ego and personality are all locked into the human nature or the humanity of who we are. Our divine nature operates outside of that. Being able to connect into the divine nature of who we are then we begin to experience compassion that is beyond let’s say what we thought we could be compassionate about. In other words, it’s like, “wow, I had no know idea I could experience this much compassion for myself, where did this come from?” Well, it came from the divine nature of who you are. That’s what self-mastery does. It opens us up to that. Leanne Vogel: Have you heard of the Future Self Meditation? Rebecca Skeele: The future self-telling, the present self something, something like that? Leanne Vogel: Often times when I need compassion and I need it right now I do the future self meditation. I can include a link in the show notes, and I like it because if I need that compassionate nature I just connect to my future self. She’s around 70, she lives like in this little treed little house. She has a braid one side. Like I have had full conversations with this lady and it’s so great to ask her questions of things I’m stuck on. She has this air about her that she just doesn’t care about what other people think. Would that be a good compassionate exercise that one could do to connect to that true self of who you are deep down? Rebecca Skeele: Yes, absolutely. I love that. Thank you for bringing that in. I also want to say that, on my website, and I’ll talk about my website later on whenever you want me to talk about it. There are some examples of this. There are a lot of blogs that I’ve written about this. There’s also home study if people want to go deeper into this. Because we have an inner compassionate listener. We have a part inside of us much like your 70 year old part that really can hold it all in compassion. Leanne Vogel: Where would one go to find that on your site? You would search for it? Rebecca Skeele: Well, in my blog I think there are several categories. One of the categories is Wisdom School. So, I would suggest people go and click on that and read some of the blogs in there because I’ve written about this quite a bit about the compassion of who we are. Also for anybody who would really love to check out self-mastery for themselves there is a home study. The first part of the Wisdom School I which is all about learning self-mastery, I offered in-home study and that would be you would just click on …. oh, well I guess I better give my URL. It’s my name rebeccaeskeele.com that’s R-E-B-E-C-C-A-E-S-K-E-E-L-E, lot’s of e’s. Leanne Vogel: So many e’s. Leanne Vogel: E’s are the best letter. I’ll will do the link in the show notes, I know that women are going through stuff. I always like to ask if something just lit up in somebody like you don’t have to wait, here’s where to get it. Rebecca Skeele: Yeah, yeah, good. Leanne Vogel: It makes a good practice. Rebecca Skeele: Yeah, go to the Wisdom School. Then there are three more steps after that. After we open our heart in compassion, then we work with self forgiveness. Now, I want to talk a little bit about self-forgiveness because a lot of people don’t understand what it is or think it’s like, what? What’s self-forgiveness, I thought I was suppose to forgive others, I didn’t know I could forgive myself. It’s really important to know that what we’ve forgive in ourself are not our behavior. Our behavior does not have to be forgiven. It’s our judgment of our behavior that we given. What clutters our thinking, our perceptions of who we are. Our energy field is our judgments of ourself, that includes shaming and blaming. Self-forgiveness is forgiving ourself for judging ourself as xyz. Now what does this do? Forgiveness comes from beyond us. Again, it comes from our divine nature. When we go through the process of forgiving ourself, for judging and shaming and blaming ourself for xyz it opens us up to again that greater nature that is 100 percent unconditionally loving of who we are. So practicing self-forgiveness and self forgiveness is a spiritual practice. Practicing self forgiveness can begin to shift us out of a perception in the world that things are based in judgment and fear and shame and blame into things are based in grace and loving. Now this is an experiential process. I don’t want anybody to believe me out there, I just want you to consider this. I’ve been doing self-forgiveness for 30 years. I’ve been teaching it for 30 years and let’s just say I know it works and yet it’s something that we have to begin to practice to have an experience of. That’s the fourth self-mastery tool. Leanne Vogel: With all of this work and we can get to the other tools in just a second, I just had a question. Rebecca Skeele: I figured you did, that’s why stopped. Leanne Vogel: Perfect. With all of these tools, speaking from experience when I decided that like screw this I’m sick of everyone dictating how I feel about myself and letting everyone rule my life and seek after things that I didn’t need and all of those things. There was a culling of my relationships and people in my life that didn’t support that new life that I wanted to live. I’m sure overtime just my eating style has changed and my relationship with my body has changed. Is there a place in self-mastery for support of any kind or do you see in your own practice that yes definitely people end up being friends with new people and they’re attracting supportive relationships that allow them to continue this work? Rebecca Skeele: When we really start respecting and honoring and loving ourself it gets very clear what relationships in our life are toxic, because they don’t respect and honor and love us. When we can be unconditionally loving to ourself and compassionate with ourself, that’s what we want to be surrounded with. We want people in our life that can do that for us and also do it for themselves. So that we both are let’s say up leveling our life together. It’s really wonderful to have people in our life that champion our best self. That say to us, “Rebecca, I’m hearing that you really feel like a victim in this situation, is that really how you want to feel?” That is a huge gift and of course it has to come from someone that I know is doing their own work and that when they say that to me I know that they are saying that to me in a very loving way. I have seen that happen over and over and Leanne you sound like you’ve had that happen in your life. Rebecca Skeele: That’s one of the things that sometimes can be very resistant to doing to this work because people know my life is going to change and some of those changes might be very, very drastic. Maybe I could tell you a story right now about me. Leanne Vogel: Yes, I love stories. Rebecca Skeele: Okay. I’m 35 years old, 34 years old and I live a very wealthy lifestyle at that time, I mean a very wealthy lifestyle. I call it my dynasty days. Leanne Vogel: Amazing, I love that. Rebecca Skeele: I had two small children which I adored. I had a happy marriage. Yet I was really, really unhappy and I didn’t know what was going on. I was embarrassed to talk about it. I did talk about it to two or three of my really closest friends. They would listen with respect and everything and then they’d say, “well let’s go shopping.” You know, let’s go spend money. Whatever. In other words, they couldn’t relate to what I was going through other than they loved me and they wanted to support me. Well about that time, a friend told me about this five day transformational workshop. She said, why don’t you go? There might be something in it for you. Well, I was at a point inside of myself that I was just in agony. I mean, I would wake up in the middle of night in cold sweats. I would go around just really there was like something was chasing me and I didn’t know what it was. So I thought, well okay I’ll go to this thing. I mean I didn’t really expect to get anything out of it but I thought well maybe I’ll get something out of it. The third day of the workshop the facilitator is talking about the banquet table of life. She’s pointing out that these people around the banquet table of life are having a wonderful time. They’re happy, they’re loving, they have anything, they have all this abundance laid out on this table, they can have anything they want, they’re also feeding each other, they’re supporting each other. They’re just really in a huge place of abundance and possibility and loving. It’s the banquet table of life. Yet most of us are over here away from the banquet table of life with our weevily peanuts because that’s our lot in life. We’ve decided that these weevils and these peanuts is all we deserve and all we’re worthy of. So we’re over here eating our weevily peanuts and we look over there to the banquet table of life and we go well if I’m going to go over there I’ve got to give up my peanuts and my weevils, but what if I give it up and I walk over there and they go, uh, uh, uh, nobody by the name of Rebecca can come to the banquet table of life. Leanne Vogel: Wow, that’s scary totally. Rebecca Skeele: Yeah, it’s totally scary. That’s the place that I was in when I was 35, 34 years old. Is that even though I had a life of incredible abundance and everything that you can imagine that you want in a lifetime I was holding onto my weevily peanuts. I didn’t know that I was worthy or deserving of having what I truly wanted in my life. That was a turning point for me. That was a huge turning point for me. When she told that story everything in my body shook and I wanted to bolt for the door. You would have thought I would have jumped up and down and gone “woo hoo, I know what I want now, I want that banquet table of life.” Instead I was scared to death because I knew to go to that banquet table to life there were a lot of things that were going to change in my life and it did. The next two to three years everything came down, everything. My husband’s business went through a bankruptcy so my nice opulent lifestyle went away. We moved, so we left our beautiful huge estate and we moved to another state where all my support system, of course, I left it behind, right? I got a divorce. I had to go back to work. Everything changed. What did not change and what kept burning inside of me was that experience of I want to really know what I want and I want to go for it in my lifetime. That’s what I set my sights on when I was 35, 36 years old, 37, kind of in there and that was 30 years ago. Everything that I’ve done since then Leanne has been following the banquet table of life and I can now say that I live my life as a banquet table of life. I know you know I wrote a book called “You Can Make It Heaven,” which is not about a destination, it’s about an inner heaven, in other words creating your life as an inner heaven which I consider the banquet table of life instead of an inner hell. Leanne Vogel: Yeah, well geese that inner hell. We’re all very familiar with the inner hell. I think the take away that I got from your story and so beautiful is that there are certain things that hold us back from creating that heaven and removing that hellish state of just like you were talking about the blame and shame and the old patterns and the toxic beliefs and even when you’re listening to that story, I mean, I know, it’s funny I was just having this conversation with my yoga instructor last night, she went to some practice over the weekend and she said “I hated every minute of it, I didn’t want to be there but I knew that because I was feeling that way I definitely needed to be there.” It’s that get up and run out of the room, this is making me uncomfortable is usually the sign that you’re probably in need of the work. Rebecca Skeele: Exactly where I need to be, exactly. Leanne Vogel: Are there patterns that hold people back from this sort of work? Rebecca Skeele: Oh yeah. I call them the masks of fear. What’s really underneath all of our resistance is fear. The masks are things like denial and distraction, and control and addictions, and resistance and stubbornness. All of those mask the fear that’s underneath, the fear that oh wow I am going to go into the unknown, I am going to move out of my comfort zone, I am going to risk myself, I am going to risk being with me in a new way which means I’m going to show up in the world very differently. One of the things that we look at in the Wisdom School is to really begin to unmask fear because fear is underneath all of this. Everything that we’re really talking about Leanne today is based in fear. It’s a fear based reality. It’s about danger. It’s like we get very close to looking at something and fear comes out and goes “boo” and we turn around and we run in the opposite direction. What we don’t realize about fear and I’ll just say this because what I would really love your listeners to know is that the message of fear is not run away danger. The message of fear is you are on the right track. Keep going. I know personally that I can’t be healthy and take care of myself and be X amount of pounds. Like I can’t go back to that weight that I was two years ago because that wasn’t healthy for me. I think maybe perhaps this self-mastery practice can also be helpful in understanding and connecting to your body. Rebecca Skeele: Don’t you feel like it’s shifting Leanne any? I know this is your area of expertise, it’s not even though I have clients that I work with might have this as part of what they’re working with, don’t you think it’s shifting. Isn’t it up to us to shift it? Rebecca Skeele: It is up to, yeah. Leanne Vogel: It’s up to us to stand up for our beliefs. I was at the chiropractors office a couple of months ago and the ladies behind the desk were talking about a woman who was wearing shorts in her 40s and how dare her. I just turned around, I was like “Wow, that’s really phenomenal, good on her for having the confidence to wear shorts at 40, or 50 or 70, like who care?” They were like, “Oh yeah, I guess.” All it took was me saying that. I think it is changing slowly. The fact that I was able to write a book with the word diet in and in the book I talk about diets are total BS. It’s really cool and the publisher was totally cool with that. That’s why I started this podcast specifically because diet can mean so much more than it does right now. We think of the Kellogg’s commercials in the 90s and all the weight loss stuff and restriction and body hate. I think there are so many more resources out there now and so many more women waking up to the fact that we don’t have to have to be “perfect” to be happy and to be worthy and to live the life that we’ve always dreamt of living. Rebecca Skeele: For me, if I am healthy and wealthy on all levels then I am living my life in a state of well being. What is well-being? For me, it has a lot to do with bringing forth the qualities that I want to have in my relationships with other, that I want to have in my relationship with myself and that has to do with I want to have abundance, I want to having loving, I want to have acceptance, I want to have compassion, I want to have fun, I want to have passion, I want to have purpose and all of that has also to apply to me. I treat myself the same way that I want to be treated and the same way I want to treat others. In none of that do I run any kind of standard that, oh because my thighs now have cellulite on them that I’m not living in well-being. It’s like again, I’ll go back to what I said in the beginning. If we only focus on the fact that who we are is this physical body well good luck. Leanne Vogel: Oh man, total. Rebecca Skeele: Yeah, because I’m 65 years old okay. Rebecca Skeele: I know the trajectory of what you because you’re younger than I am are going to be facing as you get older. This is also one of things that, it’s such a wonderful conversation right now because we’re so focused on weight and looks and all of that when we’re in our 20s, 30s and 40s. You get into your 50s and 60s and 70s and a lot of things shift because you’re not, you know, all of that, the hormone don’t make your eye glow and your skin glow and your hair glow like it used to. I mean, there are a lot of things that one deals with. If we’re just focused on our physical body in our 30s and 40s you’re sunk when you get to your 50s and 60s, let me tell you. Leanne Vogel: Totally, 100 percent. Even when I was a teenager my body was different than it is now. It changes every decade my body is like a new body and to observe that. Something that I love doing and I don’t know if I’ve shared this on the podcast before but when I need to connect to my body in a quick and easy way I do like a hand meditation. It’s not really a meditation where you ohm or anything, but you just look at your hand and start thinking of all of the amazing things that this hand has done. Like start from when you were baby and you remember swinging with your parents or just anything that this hand has done and move your fingers and it can be a really good way of connecting to your body. Because it’s very rare that people will hate their hands. You know, they’re pretty neutral. Rebecca Skeele: Yeah, yeah, I like it. Leanne Vogel: You can see all the things and start remembering all the things that you’ve done with this hand and isn’t it cool that this hand has done all of these amazing things. I that’s a nice way to connect to your body. The Keto Diet podcast is excited to be partnered with Primal Kitchen the makers of uncompromisingly delicious high-quality nutrient-dense real food products that are also non-GMO and Paleo approved. In the world of real food eating it’s what you put on your food that keeps it interesting. Food that’s good for you tastes even better with Primal Kitchen Foods. They just come out with a dairy-fee keto friendly ranch dressing that you can slather on just about everything. Using 100 percent pure avocado oil as a base their ranch dressing includes only the finest functional and health food ingredients like nutritional yeast, apple cider vinegar, organic garlic, onion, dill, cage free organic eggs, black pepper, and chives. Stock up on all Primal Kitchen goods by visiting healthfulpursuit.com/primal and entering the coupon code FAT for 15 percent off your entire order. Rebecca Skeele: Let’s talk about connecting to the body because I want to get into the last two self-mastery tools. Rebecca Skeele: After we do observation, self-acceptance, compassionate listening, and self-forgiveness those are like the foundational, that’s what creates the shifts right there, especially after we do it enough where it kind of becomes our new default. Then the last two tools are let’s say take it to the next level. If you’re listening to the podcast and it’s convenient for you, if you just place your hands over your belly button area, the gut area, just place them there for a moment and hold them and let me tell you a little bit about what you’re really … what part of you lives there. It is part of your consciousness and it’s called the basic self. Now, when I say part of your consciousness I am talking about your high self, your conscious self and your basic self. The basic self hangs out right here in your gut. I’m sure everybody can relate to gut feelings, right? You get a gut feeling on something, or your gut hurts or that made my stomach hurt or whatever. The basic self does a lot of different things for us. One thing it does for us is run all the millions and billions of things that our body does in every moment of every day 24/7. So imagine that the basic self is in front of a huge mainframe computer and it monitors everything. It works all the time for us, all the time. It does other things, it keeps track of the agreements that we’ve made with ourselves. It keeps track of the judgments and beliefs that we hold against ourselves. Imagine also not only a mainframe computer but a huge blackboard and on that blackboard is written every agreement you’ve ever made with yourself even down to I’m not going to eat that next cookie, and you eat it. All of the agreements, all of the beliefs, all the judgments. The last thing it does, well not the last thing, but another big thing it does is it holds the keys to the unconscious. So do you think the basic self is an important part of who we are? Leanne Vogel: Yeah, I mean I closed my eyes and I got really into it while you were talking, so yes. Rebecca Skeele: Okay. One of the things we can do to get in our body is we can touch into the basic self. So you can place your hands over your belly button area, close your eyes and first of all the basic self loves to be acknowledged. You can just say inside yourself something like basic self job well done. Thank you so much for all you do for me, I so appreciate it. You take such good care of me, thank you. Just let yourself experience what you experience. Maybe you’ll feel a warmth. Maybe you’ll feel more grounded. Maybe you’ll feel a tingling or a subtle shift. Maybe you won’t feel anything. This is one of the things that we can begin to do to get in our body is to connect to the basic self. Because what that does is it brings us fully present to the part of us that is in charge of this body and all the things. The other thing you can do once you begin to touch in with the basic self if you want to is that you can begin to ask the basic self every day. Basic self, I want to be in my body more can you help? The basic self will, you’ll be surprised at how you’ll get prompts, how you’ll get intuitive flashes, how you’ll get reminders, how you’ll get oh yeah I just need to breathe right now, I think I’ll breathe. Leanne Vogel: So perfect, yes. That’s such a great way to connect. I love that. I’m so going to use that. Rebecca Skeele: Right. Self-mastery tool number five is working with the basic self. I call it new reference points. So remember all that big blackboard on there. Whenever we want to shift something in our life and change something in our life, a belief let’s say, we’ve had a belief all our life that we’re unworthy or we’re undeserving or we’re not enough. Let’s just pick those, they’re pretty common. What we want to do is we want to work with the basic self to erase on the blackboard that old belief, those judgments, those shaming thoughts and we want to create a new reference point of worthiness, of deserving, of enoughness, of whatever it is, abundance, of self-respect, of whatever. I teach how to work with the basic self to create those new reference points. Once the basic self gets that we’re changing things then it lines up in full cooperation with us. It’s kind of like yeah cool, what are we going to change today, what are we going to create a new reference point today. It’s like that. It comes onboard and that takes practice. It takes practice. Leanne Vogel: Much practice, but I think speaking from my history and stuff as soon as I had a reason to give up that activity of constantly berating myself, even just accepting that that wasn’t okay anymore was a big thing. Not even knowing what to do after that, just realizing like “hey, this isn’t okay, I am sick of this life,” can be a really big change in and of itself. Rebecca Skeele: Huge, excellent. Then the last self-mastery tool is loyalty to the self. That’s the big S, not the little S. What I mean by self is really the soul of who we are, the divine reality of who we are. That one is an ongoing practice and when we realize that when we start to get the benefits of doing self-mastery we have more likeness of being, we feel light hearted. When we look in the mirror we smile back at ourselves. We open our heart more. Our heart is more engaged with who we are. Our life really clears up. We realized that hey I want to be loyal to that, I don’t want to be loyal to my old story. I don’t want to be loyal to this negative self-talk that I’ve done for umpteen years. I don’t want to be loyal to how my mom or my dad, or my whatever said to me when I was a small child and I took it in. I want to be loyal to me. I want to be loyal to the greater reality of who I am and that’s the sixth self-mastery tool. Leanne Vogel: Brilliant, amazing. For those that you mentioned groundedness and such and supporting change and we talked about a couple of tools. Are there just a couple of steps that people can take right now for like, wow this Rebecca lady she’s pretty awesome and I like this whole self-mastery thing. We chatted about your website and where people can go and are there steps that people can take like right now to get out of the funk? Rebecca Skeele: Well, gosh. I’ve been doing this for so long and I have to say quite honestly Leanne I wish I had a magic wand and a pill, a magic bullet to give people. There just isn’t such a thing. But like I said a few minutes ago when we started talking about self-mastery the biggest thing that you can do is begin to get aware of your thoughts and how you are talking to yourself. So, however you want to do that and there are so many small ways you can do it. It’s not like you have to spend days or hours or weeks doing it, you can simply wake up in the morning and while you’re in the shower in the morning as yourself, am I running some kind of negative fantasy right now? Have I already pre-programmed to have a really yucky day because how I’m talking to myself. What am I saying to myself. That right there is going to begin to bring in so much awareness. You gave some great some examples Leanne of how you have become aware of certain things in your life and really have shifted a lot because of it. Awareness is curative. So when we can begin to get aware just of what is going on then from there you can decide, okay what do I want to do about this. Where do I want to go. What kind of assistance do I need and there’s a lot of … then if you ask for help and again you can go down to your basic self and go okay basic self we need some help. Where shall we go, the universe responds. The universe responds to those cries for help. So I hope that was helpful. Leanne Vogel: Which is so amazing because the last three interviews I’ve done have ended with those exact words. So guys, I think we all need to this right now. That’s so crazy. Amazing. We’ll I have to thank you again for coming on the podcast. I know that this concept for a lot of people might be quite new but not. Like it’s deep down in there, it’s always been there. Again, Rebecca we’ll put your link in the show notes and everyone can access Rebecca’s website by going to the show notes which available at healthfulpursuit.com/podcast/e9. Thanks again for coming on. Rebecca Skeele: Oh, you are welcome. This was a lovely, lovely hour to spend with you and thank you so much for inviting me. Leanne Vogel: Yeah, you bet. That does it for another episode of the Keto Diet podcast. Thanks for listening in! You can follow me on Instagram by searching Healthful Pursuit where you’ll find daily keto eats and other fun things. Check out all of my keto supportive programs, bundles, guides, and other cool things over at healthfulpursuit.com/shop, and I’ll see you next Sunday. Bye.